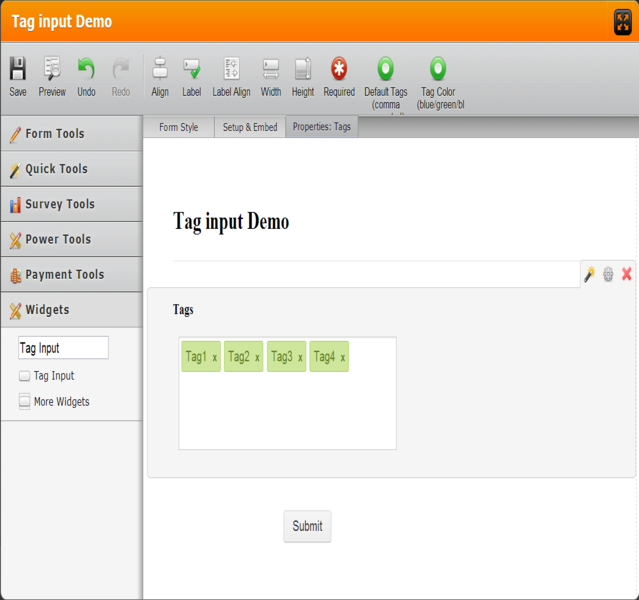 Tag inputs allows you to add a tag functionality into your form. 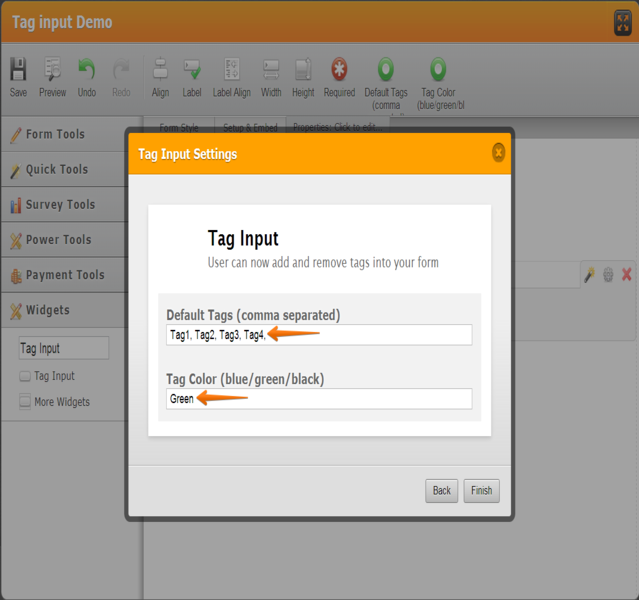 Users can now add and remove tags when submitting a form. 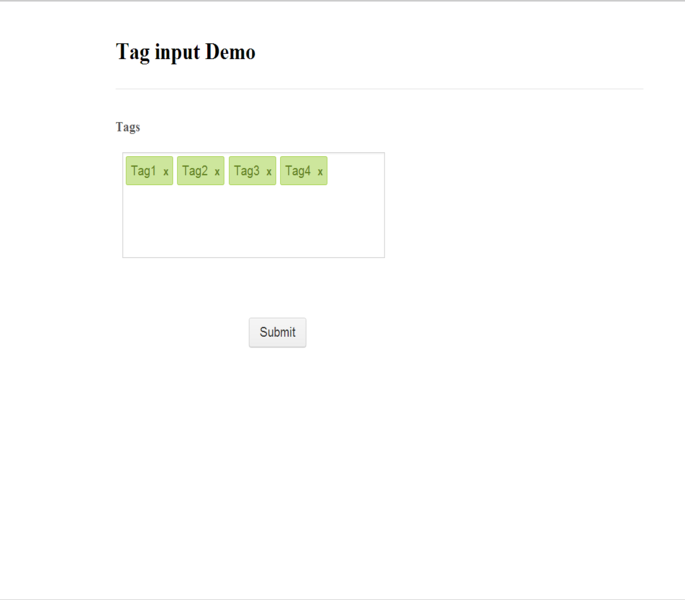 You can also set the color of this tags like &quot;blue,green,black&quot; to match the color of your site or your design. 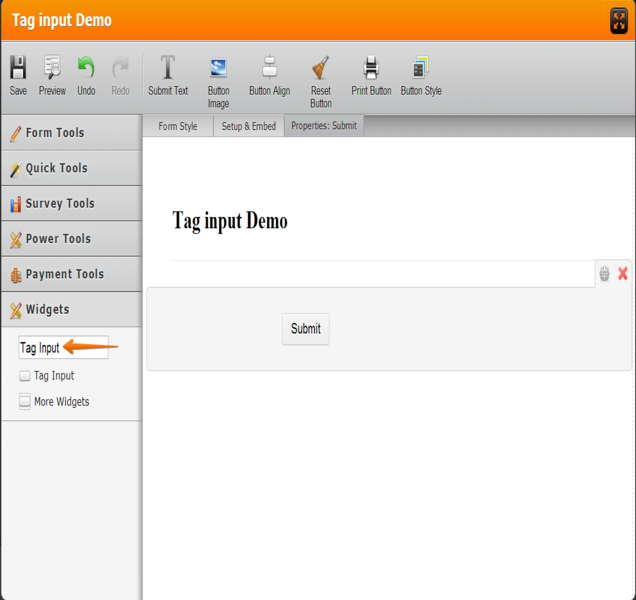 It is now easy to add and delete tags into your form by using Tag input feature under widgets section.